Does your bathroom feel tired and outdated? Although this may be the case bathroom renovations are often expensive and take time to complete. Leaving you out of pocket and without a bathroom for weeks! What if there was a better way? Most bathrooms are still functional and a neat cosmetic refresh can be just the thing it needs to feel brand new! So how can I turn my old, drabbed bathroom into a modern-day masterpiece, without costing an arm and a leg you ask? Have you heard of Tile Paint? 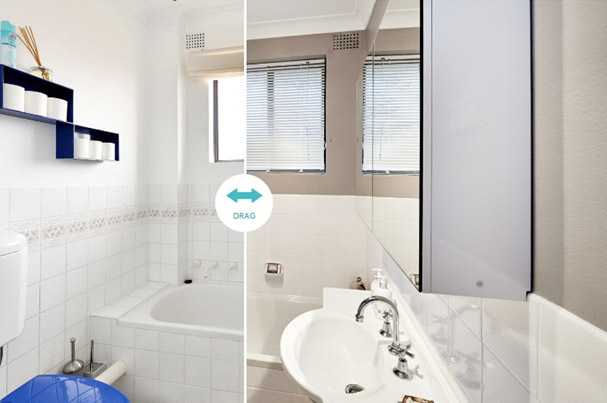 The cost-effective way to give yourself a new bathroom without spending big! Painting over outdated tiles and laminate surfaces can make your bathroom feel like a whole new space again! You can even paint that 1950s pink bathtub (that you thought would never go out of style). 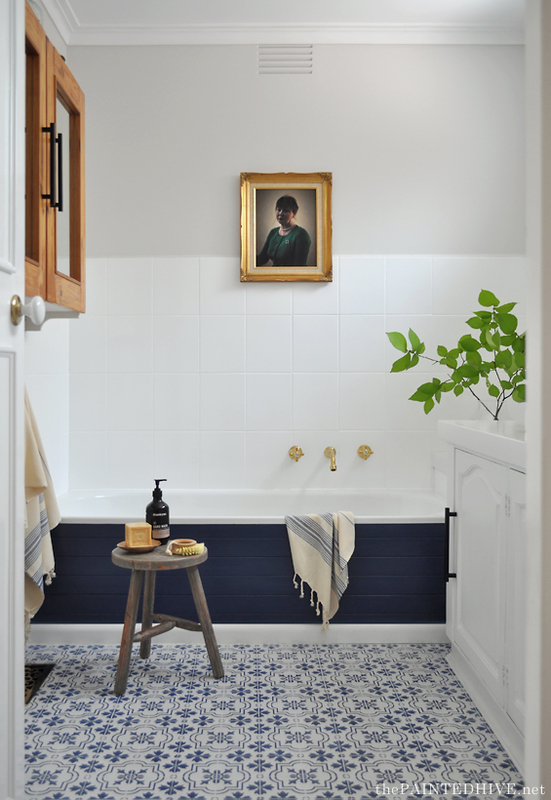 Tile Paint is ideal for tile walls, kitchen splash backs, laminated surfaces and cupboards. Follow these simple steps and you’ll have yourself a fresh new looking bathroom in no time, and the best part is you can Do It Yourself! Cleaning is the most important aspect of painting tiles and laminates. There are special tile and laminate cleaners you can use to remove those years of soap and contamination off your tiles. Get very serious about the cleaning. The final results will show. Try and get as much light into the space you are working as possible. You want your final product to be a nice even coat. Tile paint is sticky stuff! Mark the edges around your tiles so you don’t accidently get the paint anywhere it should be. When the surface is ready to paint, grab yourself a roller. Tile Paint is slightly thicker than normal paints, and you don’t want to be left with brush strokes on your new tiles. A brush will be handy to cut into those hard to reach places and edges. You will need to apply one coat of tile and laminate primer, followed by two topcoats. Allow time to dry between coats. Tile and laminate paint is surprisingly resilient, easy to clean and will look great. Best of all, you can get it tinted to match your new colours. To make your tile paint job look complete, touch up the grouting with a specialised grout pen. Choose a contrasting colour for a grout feature effect. You can even use a grout pen to recolour old or discoloured grout without touching the tiles at all. Make sure you fix any grouting that may have fallen out before you recolour. You’re done! It’s as easy as that to have yourself a brand-new looking bathroom, without spending big! Now that you have a new tile in the bathroom, it’s time to think about the other areas in the house. Head to your nearest PaintRight store to see our full range of tile paints.